Wisconsin Assembly leader: Most school shooters pass a background check. We check it out. Polls show the vast majority of Wisconsinites, including 78 percent of people with guns in their homes, favor strengthening background checks for gun purchases. But Assembly Majority Leader Jim Steineke does not. He notes the existing background check system did not prevent most of the 19 mass shooters examined by The New York Times from obtaining the weapons used in massacres. 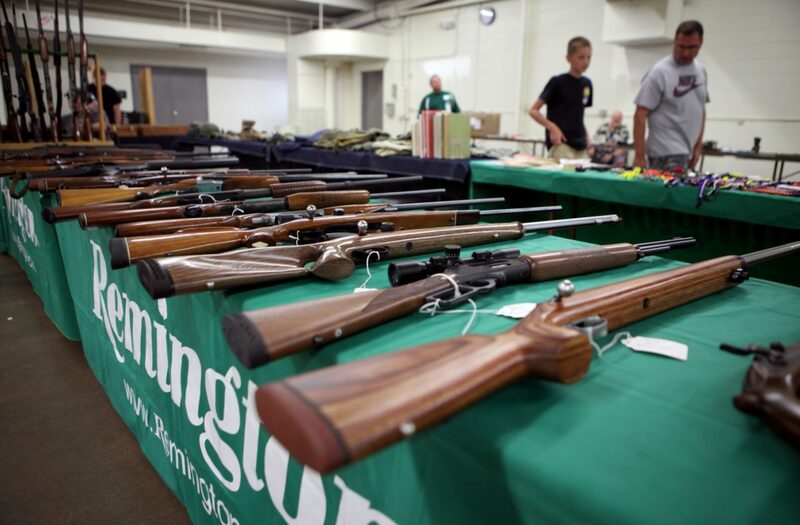 Here, rifles are seen on display at Ron Martin's booth at the Badger Military Collectible Show in Waukesha, Wis., on Aug. 5, 2016. The reply was in response to a tweet that Keith wrote, linking to a story from Fox6Now describing the passage of a bill in the Wisconsin Assembly that will pay for armed guards in schools. According to Fox6Now, the bill’s passage followed a “raucous debate” in the Assembly, during which GOP leaders rejected a proposal by Democrats for a mandatory background check on all gun sales. The truth is school shooters almost exclusively have passed background checks. Background checks aren’t likely to prevent the shootings while additional security measure may. When asked to share the information that supports his claim, Steineke’s spokeswoman Alesha Potter said that he learned about mass shooters’ successful background check applications from a New York Times article from Feb. 16, 2018. The article, under the headline, “How They Got Their Guns,” delves into the background application history of each gunman behind 19 mass shootings dating back to 2009. According to the Times, the “vast majority” of the shooters in these 19 incidents either passed a National Instant Criminal Background Check or were legally eligible to buy the weapons they used. But the article showed that in some cases, the shooters had criminal histories that were not entered into the background system, or they had documented mental health problems that fell short of the current threshold for reporting. In a few cases, shooters got their weapons from other people who obtained them legally, such as the young man who shot and killed 27 people, mostly children, at an elementary school in Newtown, Connecticut, in 2012. His guns were purchased legally, but by his mother and not the shooter himself. Therefore, the shooter did not have to pass a background check to obtain them. The federal system checks a purchaser’s name against a list of buyers who are ineligible, including but not limited to people convicted of felonies or certain misdemeanors; illegal drug users and addicts; people found “mentally defective” by a court; and those unlawfully living in the United States. The Feb. 14 Parkland, Florida, shooting that left 14 high schoolers and three staff members dead has reignited the national debate over gun control. Although Steineke’s tweet is a reply to a bill about school safety, the Times article discusses “mass shooters,” not school shooters exclusively. A Times reporter did not respond to a request for comment, but the article cites “government and law enforcement officials” as the sources for the information. Steineke’s tweet did not differentiate whether school shooters pass federal background checks or state background checks. Some states have gun laws that go above and beyond federal law to require checks on all or nearly all firearms sales. An estimated 42 percent of U.S. gun owners said they had purchased their most recent firearm without a background check from a private or unlicensed dealer. According to the Wisconsin Department of Justice, state law requires any firearms dealers licensed by the Bureau of Alcohol, Tobacco, Firearms and Explosives to run a background check through the Department’s Crime Information Bureau for anybody trying to purchase a handgun or long gun. But Wisconsin is not among the 19 states and the District of Columbia that have extended the background check requirement beyond federal law to at least some private sales, according to the Giffords Law Center to Prevent Gun Violence. A 2018 poll from Marquette University Law School found even Wisconsin residents with guns in their households overwhelmingly support expanding background checks to private gun sales and sales at gun shows, with 78 percent favoring additional checks and 18 percent opposing. Overall, 81 percent of state residents support such expanded background checks. The poll also investigated the divisions in perceptions of possible new gun control laws among Wisconsin voters. “Twelve percent think that new laws would reduce mass shootings a great deal, with another 22 percent saying this would reduce shootings a moderate amount. Nineteen percent say that additional gun control would reduce shootings only a little and 43 percent say that new laws would have no effect at all,” the poll found. According to Everytown For Gun Safety, an advocacy group that conducts its own research on a variety of gun violence-related issues, background checks have blocked more than 3 million sales to prohibited purchasers since 1994. Steineke claimed that “school shooters almost exclusively passed background checks.” Evidence compiled by The New York Times indicates that the lion’s share of the mass shooters the newspaper examined did pass federal background checks or were legal purchasers. In general, this is an accurate claim. What Steineke did not say is that in some cases, human error prevented the background check system from catching people who could not legally buy a gun, such as the man who killed nine people at a historic black church in Charleston, S.C., in 2015. And some proposals, such as raising the legal age for gun purchases to 21, could theoretically allow background checks to block at least some sales of guns used in school massacres, such as the semiautomatic rifle used by the 19-year-old accused Parkland shooter. 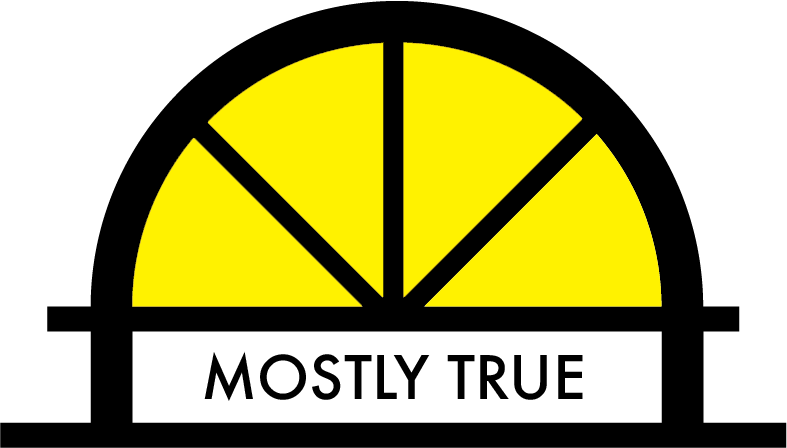 We rate Steineke’s claim as Mostly True.